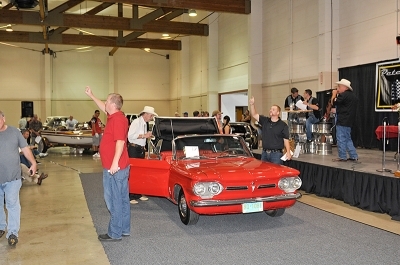 Petersen Collector Cars host a series of Collector Car Auctions throughout the year in Salem and Roseburg. 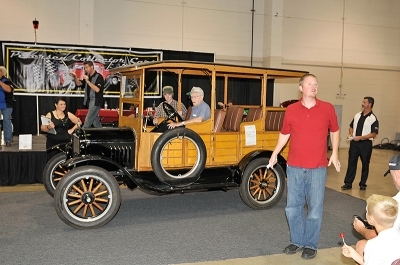 In addition to vehicles crossing the auction stage, you'll have the opportunity to bid on memorabilia items, boats, RV's and more! 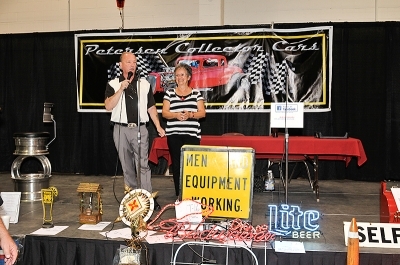 Petersen Collector Car Auction owners, Curt and Susan Davis, have been running the auctions since they purchased the business in 1998. Their operation is a family/friend based event, where both the ladies, as well as the men, come together to enjoy a friendly, fun-filled environment. When attending any of their auctions, do not hesitate to ask questions of or share your feelings with any of the Petersen Auctions friendly and helpful staff. Every Petersen Auction is really a product of effort from our entire 'family staff.' Watch for us at Northwest Cruise-In's and car-related events, as we too are 'car crazy' as well. 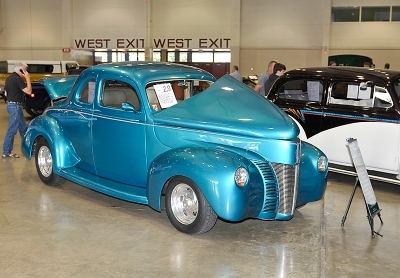 It is Curt and Susan's hope to continue to grow in the Northwest by providing comfortable places to buy or sell auto related memorabilia and see a great selection of some of the Northwest's finest and drivable Special Interest Vehicles being offered at Auction. 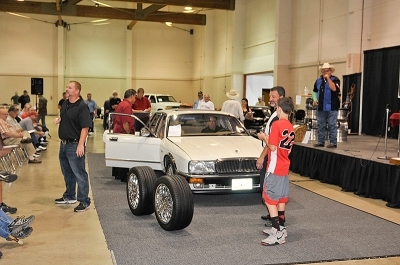 Below is a sampling of pictures from the auction. Click Here to view all the pictures.